St. Luke Lutheran Church in Glen Ellyn, at 23W080 Butterfield Rd. is planning on having it’s first ever craft fair on Saturday Oct. 20th, 10:00 a.m. to 5:00 p.m.
A 7’x9’ booth (includes 2 chairs and a table ) is $40.00, $45.00 with electricity. 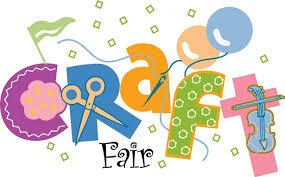 If you are interested in being in our craft fair or know someone who is please call 630-469-5552 on Tuesday or Thursday and talk to Barbara in the church office. She will notify the person in charge to get an application out to you. Thank you for your interest in our first ever craft fair and hope to see you in October. ​Proceeds from table rentals will go to our Good Samaritan Fund which is used to help members and non-members in need. See contact form below if you would like to contact us online.